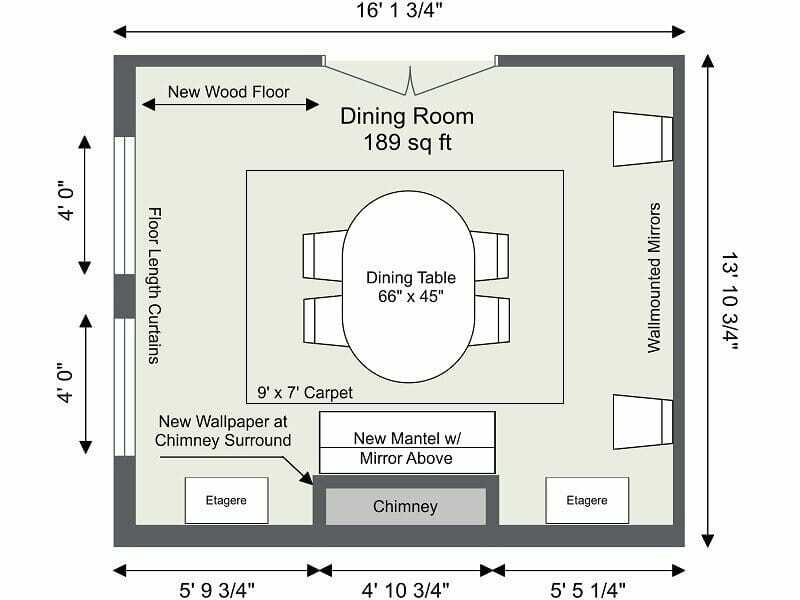 Looking for an easy way to plan and visualize a new room design? Try an easy-to-use online room planner like the RoomSketcher App. With RoomSketcher, you can create room layouts and floor plans, try different finishes and furniture, and see your room designs in 3D! Whether you are planning to remodel or redecorate a room, RoomSketcher makes it easy for you to create your room design. Unlike other room planners, RoomSketcher is easy, no CAD or 3D software experience necessary. Just draw your floor plan and see your room in 3D at the click of a button – it’s that easy! Get started on your room design today with this easy-to-use room planner. Planning a new room design can be challenging. While there are lots of great room design ideas out there for inspiration, it’s difficult to know which ones will work in your room. That’s where an online room planner can really help. With a room planner, you can figure out the best way to layout your space, what size the furniture needs to be, and which colors, materials, and textures will look best. With a room planner, you can see your options clearly. When you can visualize your room design, you make better decisions and can have confidence in your choices which will save you both time and money. Plus, it’s fun! The RoomSketcher App is an easy-to-use floor plan and home design app that you can use to create your room design quickly and easily. Create floor plans and furniture layouts, furnish and decorate your room, and see your design in 3D – all in one easy-to-use app. Using the RoomSketcher App, you can create your room design on your computer, tablet or both. Your projects are stored in the cloud and they synch across devices, so you can access them anywhere you want. 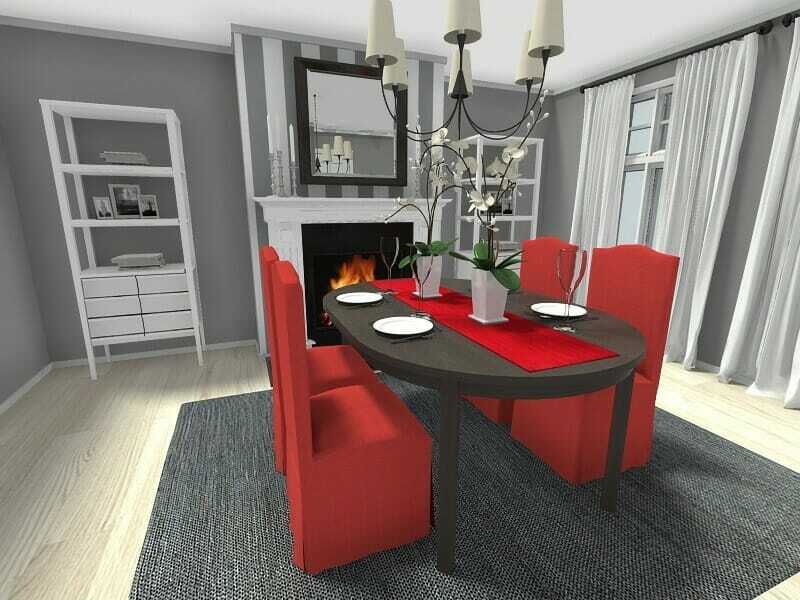 To get started, draw your floor plan, choose your furnishings, and see your room design in 3D – it’s that easy! Draw a floor plan of your room in minutes using simple drag and drop drawing tools. Simply click and drag your cursor to draw or move walls. Select windows and doors from the product library and just drag them into place. Built-in measurement tools make it easy to create an accurate floor plan. To furnish your room, select an item or finish from the product library and drag it into place. The RoomSketcher product library contains over 5,000 materials and products for you to choose from. Resize items easily and experiment with different finishes. 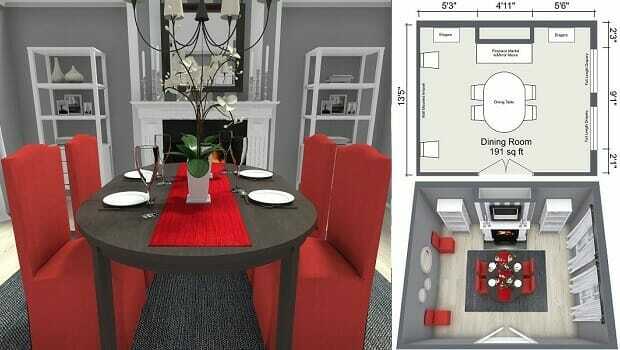 Take Snapshots of your room design as you work to see how it looks 3D. Experience a 3D walkthrough of your room with our Live 3D feature. When your design is ready, create high-quality 3D Floor Plans, 3D Photos, and 360 Views to show your ideas. 2D Floor Plans are essential for room planning. They help you to layout your room correctly, to know what will fit, and to get more accurate estimates from contractors and installers. Show measurements, the room size in square meters and feet, furniture and finish locations, important notes, and more. With RoomSketcher, you can create a 3D Floor Plan of your room at the click of a button! 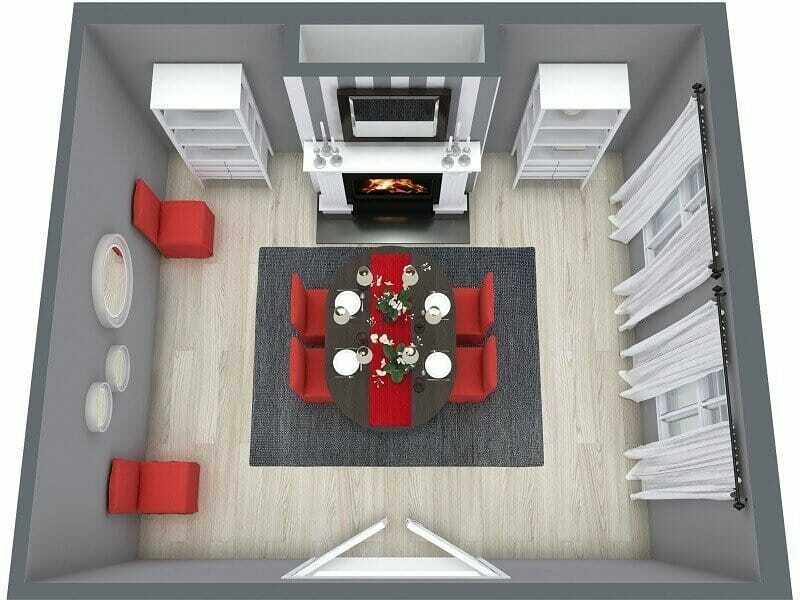 3D Floor Plans are ideal for room planning because they help you to visualize your whole room including the furniture, cabinetry, colors, materials and more. Using the in-app camera, you take instant Snapshots to see how your room design will look in 3D. Save your favorites and transform them into beautiful, high-quality 3D Photos. See how your room design will actually look including colors, textures, and materials. They are the perfect way to see and share your room design ideas! Create stunning 360 Views of your room design instantly. View the entire room as if you are standing right there! With RoomSketcher, every user can access the RoomSketcher for free so that you can start your room planning straight away. Just draw your floor plan, furnish and decorate it, and see your design in 3D – it’s that easy! For more powerful features, such as stunning 3D Photos, high-resolution 2D, and 3D Floor Plans, and Live 3D walkthroughs – simply upgrade to a VIP or Pro subscription at any time. Get started on your room design today with this easy-to-use room planner! Create floor plans, home design and office projects online. Draw yourself or let us draw for you. With RoomSketcher it's easy to get a professional result. RoomSketcher is loved by business users and personal users all over the world. Draw yourself or let us draw for you. With RoomSketcher it's easy to get a professional result. Copyright © 2019 RoomSketcher AS. All rights reserved. RoomSketcher®, Live 3D Floor Plans™, 3D Storefront™ and Viseno™ are trademarks of RoomSketcher AS in Norway and other countries.